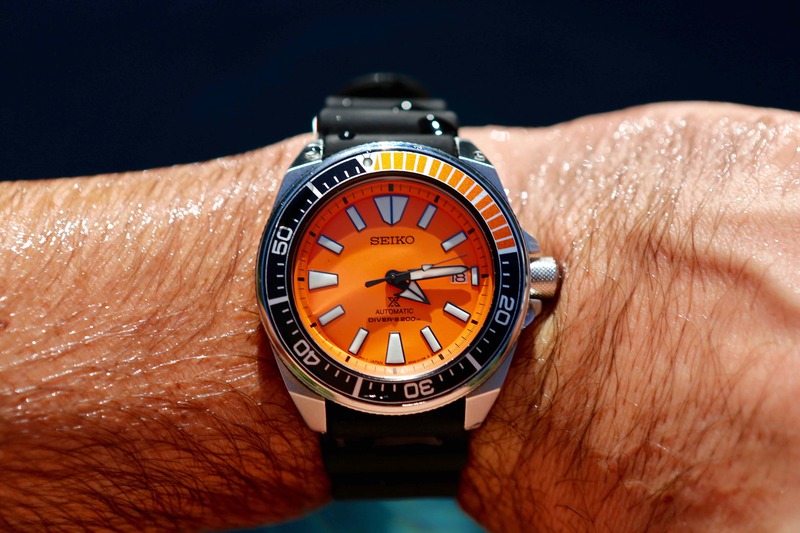 Seiko Makes Waves With A New Orange Diver. | A Continuous Lean. Seiko Makes Waves With A New Orange Diver. Sponsored by Seiko and Amazon Fashion. I’m someone who spends a lot of time looking at and thinking about watches. To me, watches are the perfect extension of your personal style. So it’s fun to know what’s new and to keep experimenting. I’ve written about it before, but there still aren’t many pound-for-pound better watch buys than a Seiko. The attention to detail, the build-quality and the classic aesthetic (along with friendly prices) make for the perfect conditions when it comes to acquiring a great timepiece. As a Seiko owner and admirer of the brand, I frequently recommend it to people looking for good design and value. Knowing that I already recommend Seiko watches to so many people, it made perfect sense to me to partner with Seiko and Amazon Fashion on the launch of the Orange Samurai dive-watch which is pre-ordering now and will release on November 13th. Measuring 44mm the SRPB97 is the right size for a diving watch, but not oversized. It has a made-in-Japan Seiko automatic movement and comes with a stainless steel bracelet, plus a rubber strap. The orange color pops nicely on that black strap and the watch does just the right amount of catching your eye, but it’s not overwhelming in the way an orange accented watch could be. All said and done this is a classic piece that built solidly and will stand the test of time. Those are the key things when buying a watch. You really only have to ask yourself. Will it continue to look good over time? Is there value when considering price and quality? Does the brand have a good history of making good watches? Seiko checks all of these boxes easily. The value for money is pretty astonishing when you consider what some other brands are charging for quartz watches that aren’t even waterproof. Seiko has a long history of making great watches. 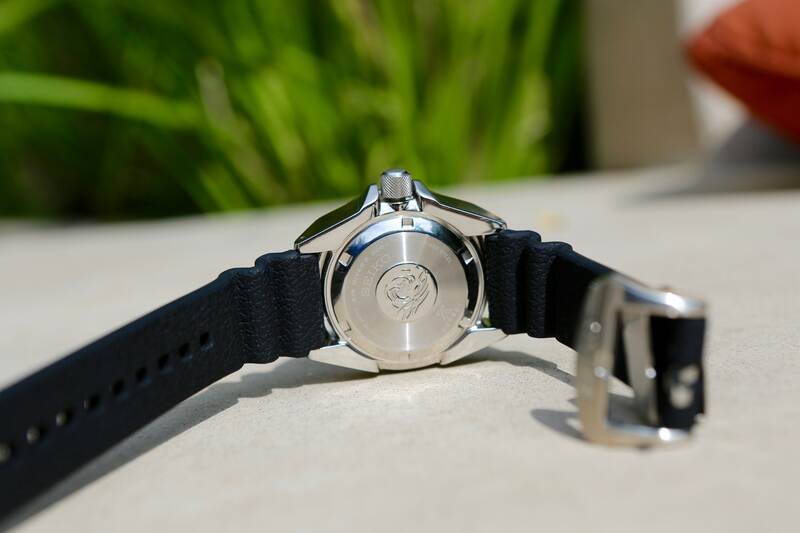 The company’s high-end Grand Seiko collection has a cult following among the watch press (at least from what I’ve seen; Seiko has as a lot of diehard fans period) and the Prospex collection of dive watches is a real standout. There was a time when it seemed like Japan was getting all of the good stuff from Seiko and a lot of the interesting pieces weren’t offered in America. Times seemed to have changed for American Seiko fans. There have been a lot of great releases this year from Seiko and it seems like Seiko USA is getting more and more interesting launches including this new diver. The SRPB97 is a nice update to an already solid collection of #Prospex sport watches that is a slightly more reserved edition as compared to the beloved Orange Monster dive watch. The Seiko #SRPB97 Automatic diver is an Amazon exclusive that is available now for pre-orders (at a 10% discount) before launching on Nov 13th. You can check it out here. Good to see some Seiko love here. I always keep coming back to my SKX over my Speedmaster or Legend Diver. Mainly for the reason you’ve outlined above – storied, dependable and rugged as hell.